Considering his vast and ever-increasing fan base, W2S easily belongs to the class of the most successful British YouTubers. The career which kicked off in his early age hasn’t only made him famous; the chap’s fortune has been soaring over the years. Known in some quarters as Wroetoshaw, W2S’ birth name is Harold Christopher George “Harry” Lewis. 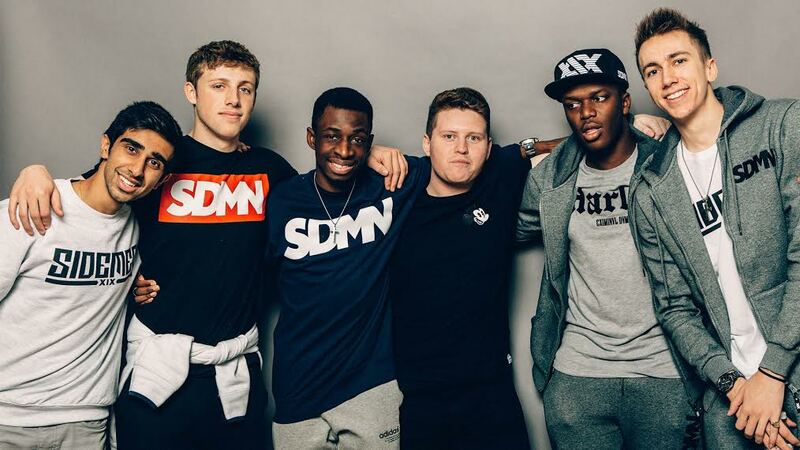 He’s celebrated as the youngest member of The Sidemen (a group made up of seven British YouTubers) and admired for the energy and vibes he expresses in his videos. W2S has always done things that gain him the attention of the public – both for the right and wrong reasons, let’s dwell on the latter a bit. Once upon a time, he forced his followers to take a look at his bum as he shared a picture of himself naked. Those who asked, “what was he thinking”? dropped their jaws when pictures of his scrotum appeared on his Twitter handle. It was soothing to learn that the account was hacked but then, the fact that he had pictures of his testicles on his phone made people repeat the question – what was he thinking? The matter didn’t get any better when the YouTuber proclaimed that they were his balls. Another instance was when he had everyone believing he had acquired a Ferrari 458; this was in November 2014. Shortly after, he confessed that the rose gold-tinted car wasn’t his and that he only rewrapped the car he borrowed to have the rose gold colour. In all, W2S is a jolly fella, and there are a good number of things worth knowing about him. Find answers to some of the questions often asked about him below. The British YouTuber was born on the 24th of November and in the year 1996. It is known that his place of birth was in Alderney and that he was brought up there until his family moved to Guernsey; Harry was only seven at the time. In the Channel Islands of British Isles, he became one of the students of Guernsey Grammar School. How W2S became a fan of FIFA Soccer video game is not far-fetched, he played football with a team called Rangers F.C while he was in high school. Now known for videos of his FIFA games, his WROETOSHAW YouTube channel which has been active since the 26th of July 2012 has been able to garner almost 4 billion views and 14 million subscribers as of March 2019. That’s not the only channel he runs, there’s also W2SPlays where he plays a variety of games. This channel was created on 7th July 2013 and has accumulated over 62.5 million views alongside almost 1.2 million subscribers. In view of how successful his YouTube endeavour has been, it is difficult for one to fault him for abandoning his studies to focus on playing video games and sharing them on the internet. Yeah, W2S dropped out of school when he was 17 and moved to London to become a proper YouTuber. Anytime he decides to return to school, there is no doubt that he will easily find his way around it. According to reports, he was a very bright student. Various figures have been quoted as Harry’s net worth over the years and it ranges from $5 to 12 million. Even as we have been unable to substantiate any of these amounts, it is not hard to believe that he’s worth more, considering the millions of people subscribed to his channels. Sometime in 2015, he gave away £800 to about 16 of his followers on Twitter – who achieved straight A*-A’s in their GCSE. That same year, he acquired a flat in Guernsey; this was also the year he reportedly bought his 50th Anniversary Edition of Lamborghini Gallardo. While almost nothing is known about his parents, it is believed that they are partly responsible for their son’s passion for gaming. As the story goes, they introduced him to the gaming world when they gave him a Nintendo GameCube. The YouTuber isn’t the only child of his parents, he has a younger sister and brother respectively named Rosie and Josh. The former is the oldest of his two siblings, she was born on September 1st, 1999 and has been featured on a good number of her brother’s videos. Born on December 3rd, 2001, Josh has chosen to walk in his brother’s shoes. He is also a YouTuber and his channel (Joshlewisgsy) boasts of over 60.6 million views and nearly 898 subscribers as of March 2019. To the best of our knowledge, Katie Sarah Leach is the love of W2S’s life. It was sometime in 2014 that the YouTuber named her as his lover. A few years later, she appeared in one of his videos. It is believed that they are still an item but we haven’t been able to authenticate that.